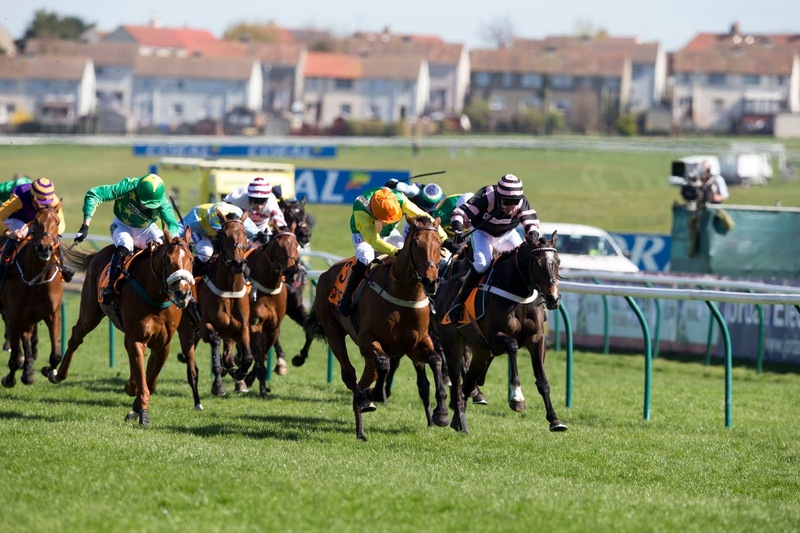 COMMERCIAL Property Maintenance Services (CPMS) is to sponsor the 2019 Scottish Champion Hurdle at Ayr Racecourse, the richest and most prestigious hurdle race in Scotland and one of the most valuable handicap hurdles in the UK. 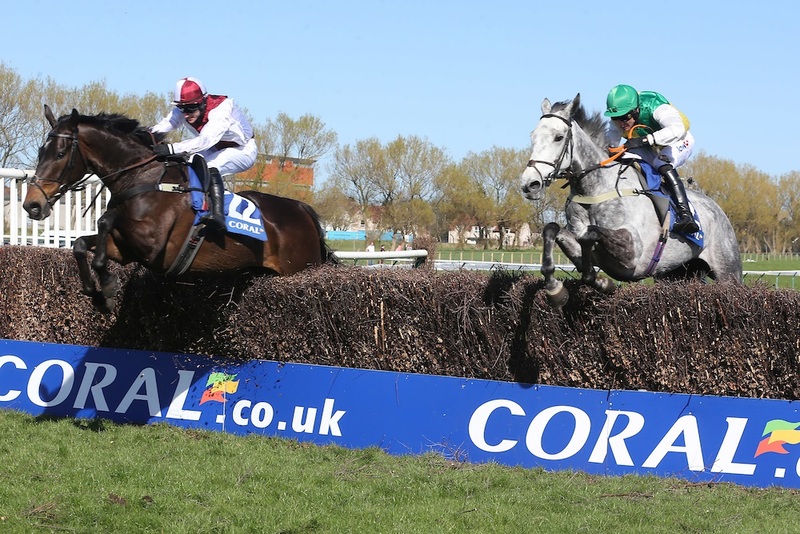 The Grade 2 contest - which carries a prize fund of £105,000 - will be run this year on Saturday 13 April and screened live on ITV’s main channel as part of the Coral Scottish Grand National coverage. The race has grown in stature over the past few years and in 2018 was won by the Sue Smith trained Midnight Shadow (pictured above) whose subsequent wins included the Grade 2 Relkeel Hurdle at Cheltenham on New Years Day. CPMS was established in 1996 and provides a full and comprehensive range of property facilities management, building services construction and maintenance solutions across the property, engineering, maintenance and rail sectors. With headquarters in Elderslie, near Glasgow, and offices in Manchester, York, Edinburgh and Inverness CPMS has built a solid reputation among its growing list of clients. CPMS managing director Charlie Shiells said: “We are delighted and proud to be sponsoring such a historic and prestigious race as the Scottish Champion Hurdle. The new sponsor was welcomed by Ayr Racecourse managing director David Brown, who said: “The Scottish Champion Hurdle is firmly established as one of the foremost hurdle races in the country. The Scottish Champion Hurdle was first run in 1966 and awarded Grade 2 status in 1991. Previous winners include Cheltenham Gold Cup winner Captain Christy in 1973, Alderbrook who won the race in 1996 - a year after winning the Champion Hurdle - and more recently Cheltenian in 2015, Ch’Tibello in 2016 and Chesterfield in 2017. And it has been announced that Coral Scottish Grand National is the fourth biggest race in terms of betting shop turnover for 2018 in figures published by Ladbrokes and Coral – the first time such a list has been published since the merger of the two bookmaking giants. The only races to better the Ayr race are the Grand National, the Cheltenham Gold Cup and the Derby. A total of 25 of the top 40 betting races are run at the Cheltenham Festival. The Coral Scottish Grand National also came fourth in the last list published by Coral but the new stats include all Ladbrokes shops as well. There is no other racecourse north of Aintree in the top 40. Ayrshire is set for a major jobs boost after it was confirmed that more than £240million is set to be ploughed into the local economy. The long-anticipated Ayrshire Growth Deal will now become a reality after the UK and Scottish Governments confirmed they would each invest £100m into a package of projects. The Deal is likely to create thousands of jobs, bring £2billion of investment into the area, improve local infrastructure and breathe new life into the Ayrshire economy. It will also help support the wider Scottish and UK economies. 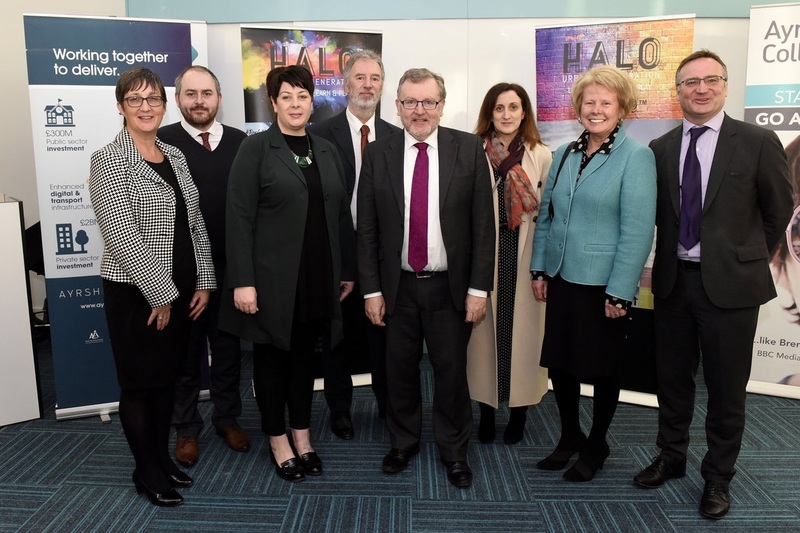 At a visit to the Halo site in Kilmarnock last week, Secretary of State for Scotland David Mundell MP confirmed the financial package agreed by the UK Government. And in parallel the Scottish Government, who had already made clear their commitment to the Growth Deal, announced that they too would match the funding confirming they would also invest £100m. Mr Mundell MP was joined on his visit by the three Ayrshire Council Leaders, chief executives and representatives of the Ayrshire Growth Deal team from both the public and private sector. Infrastructure Secretary Michael Mathieson MSP visited Ayrshire this week, when the Growth Deal projects were expected to be high on his agenda. The three Ayrshire Councils will commit financially to the Deal, with their investment likely to be around 20% of the overall package. South Ayrshire Council leader, Councillor Douglas Campbell said: "This announcement is fantastic news and delivers the input from the UK and Scottish Governments that we've been working towards for the past three years. This is a ringing endorsement of Ayrshire's potential, and the economic impact we will have by delivering investment, jobs and business growth that will create a legacy for generations to come and make a real difference not only for our own people and places, but for those right across the UK. "This funding will kick-start a wider investment programme across both the public and private sectors that will give us the chance to innovate, prosper and succeed and ensure Ayrshire is recognised as a world-class business region for the aerospace and space, energy, marine, manufacturing and tourism industries. This really is a milestone day for Ayrshire and a foundation for a bright, prosperous and successful future for all." Councillor Joe Cullinane, Leader of North Ayrshire, said: "This has been a real collective effort by the three Ayrshire Councils, cross-party politicians, the public and private sector and many other partners. "We are thrilled to have now received this confirmation of funding from the UK and Scottish Governments and are excited to say that that work will start on these projects this year. "We have all worked incredibly hard and can now look forward to some really exciting times for Ayrshire. It's up to us now to deliver these projects and create the jobs and investment this area so desperately needs." Councillor Elena Whitham, Depute Leader of East Ayrshire Council said: "This is tremendous news and is a real testament to three years of hard work, commitment and determination as we sought to demonstrate the economic growth potential of the Ayrshire Growth Deal for the Scottish and UK economies. "It's all paid off and as this is the first Scottish non-city deal to secure funding from the UK Government, it brings us ever closer to finalising the right deal for Ayrshire. "The Ayrshire Growth Deal will transform our communities for generations to come." The Ayrshire Growth Deal partners include the three Ayrshire Councils, UK and Scottish Governments and national agencies, with support from the private sector. Investment will be in key assets and sectors that will not only positively impact Ayrshire but the Scottish and UK economies too. • Investment in road and rail infrastructure and digital connectivity across the region.